Since 2004, a lot of horses from Mezy’s stud farm have become famous in France as well as abroad concerning flat races and endurance. 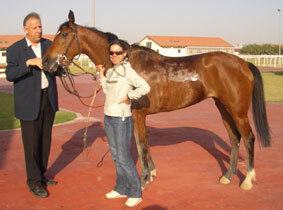 The results talks about themselves; on 87 flat races, the breeding shows 16 victories and 46 placed. In endurance, more than 60 horses are ranked on CEI** and CEI*** and among them we have a lot of winners, Top Ten, two medal-holders in 2011 and one medal-holders in 2015 with the French team. In endurance, 2011 year was important since Djour de Bozouls become the European Champion with the French Team at Florac, as Al Jaïmie de Bozouls Vice-Champion of World championship of the young riders at Abu Dhabi (and first French). In 2010, Aljay des Agachiols became the World Champion of the 8 years old on the CEI*** at Compiègne, then next year he became victorious on the CEI ** at Tartas at the beginning of the season, before being exported. In 2012, Nadia al fée de Bozouls ranked at the 3rd place of the World championship of the 7 Years old at Babolna (in Hungary) and Guarfao de Bozouls finished at the 7th place. One year later, Espoir de Bozouls became Vice-Champion of the 7 Years old at Valeggio Sul Mincio in Italy. In 2015, we had an other horse silver medal-holder with the French team, Guarfao de Bozouls, ranked at the 11th place on the European championship at Samorin (SLK). Abla de Bozouls: 6-year-old Elite finals Uzès in 2017, 8th on the World Championship for 7 year olds at Samorin in 2018. Aïcha de Bozouls: 2nd in CEI** Sommant 2007, Winner CEIYJ *** Kreuth 2007. Aljay des Agachiols: World Champion for 8 year olds at Compiègne in 2010, winner on the CEI** at Tartas in 2011. Al Jaimir de Bozouls: 4th on the CEI** at Madrid in 2017 and Winner on the CEI** at Comporta in 2018. Al Jaïmie de Bozouls: Winner on the CEI** Monpazier 2009 (3rd Scratch), 2nd in CEIOJ** Compiègne 2010, vice-champion in Young Riders World Championships in Abu Dhabi 2011 (and First French). Aljaïroi de Bozouls: 6-year-old Elite finals Uzès 2010. 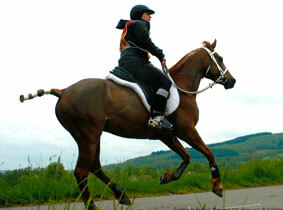 Assara de Bozouls: 4th on the CEI** Nancy 2005, 5th on the CEI*** Landivisiau 2005. Assidaroi de Bozouls: 6 times ranked on CEI**, twice on CEI*** and winner of the Suiss Junior Championship in 2014. Assijo de Bozouls: 6-year-old Elite finals Uzès in 2012. Batcho de Bozouls: Winner on the CEI** (Copa del Rey) at Rascafria in 2016. Bemira de Bozouls: 7th in CEI*** Euston Park 2008 with Emirates colours. Benaïda de Bozouls: 2nd on the CEI* at Costaros and on the CEI*** at Lignières in 2017, 3rd on the CEI* at Costaros in 2018. Bley: 5 times top ten in CEI** and CEI***, among which 5th in CEI*** Florac 2003, 8th in CEIO**** La Baule 2004. 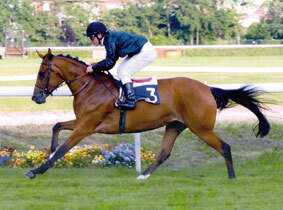 Cakouet de Bozouls: 24 starts (France and abroad); 4 wins; 14 places including 2 seconds in Gr.2 and third in Gr.1. 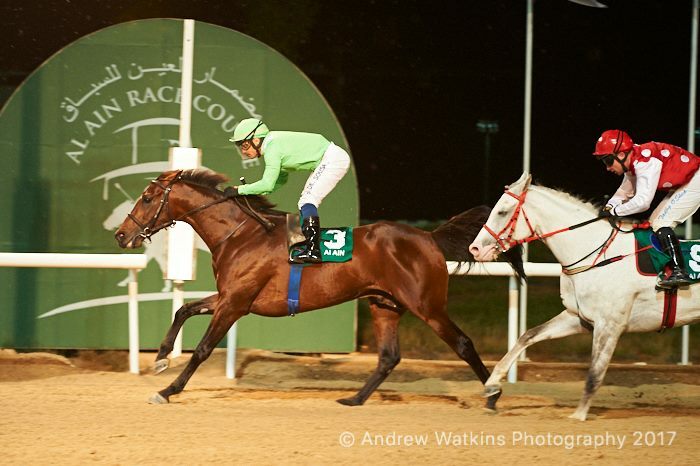 Winner of the Prestige Al Aain Mile Price in 2018. Cherida de Bozouls: 11th of 7 Y-O championship (CEI**) at Samorin, 7th on the CEI*** at Samorin (SVK) in 2015 and 17th of the World Championship in Slovakia with the Mexico Team. Diaf: 6 rankings in CEI** et CEI***, among which 5th in CEI** Moulin Engilbert 1996. Diaf de Bozouls: 10 rankings in CEI** and CEI***, among which 3 times Florac, 10th in CEI*** Alfred’s tower 2004, 4th in CEI** Negrepelisse 2000. Djef des Agatchols: 8 times ranked on CEI**, 8th on the CEI** in Bouthied in Abu Dhabi (average speed 26 km/h) and 3rd on the CEI** at Muscat (OMA). Djellade de Bozouls: 6-year-old Elite finals Uzès 2009, 9th in the 8-year-old World Championship in CEI*** Compiègne 2011. Djelfor de Bozouls: Winner on the CEI* at Lignières in 2018. 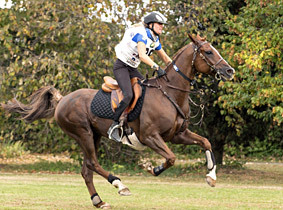 Djelind de Bozouls: Winner on the CEI* at Lignières and 3rd on the CEI* at Castelsagrat in 2016, 3rd in the Sponsors’ Trophy in CEI** Compiègne 2010. Djerfo de Bozouls: 14 races since 2009 to 2011 ; 2 wins and 10 places. Djerifa de Bozouls: 9th in CEI** Boudthib 2009 under Emirates colours. Djour de Bozouls: 2nd in CEI*** Montcuq 2008, 6th in the Europe Championship Assise 2009, 5th in CEI*** Sommant 2011, Team Europe Champion Florac 2011. Djourfée de Bozouls: 2 wins and 3 places out of 5 races ; 1st at Prize Magicienne Pau, 2008 / 1st at Prize Ourour Toulouse, 2007. Dorasa de la Forêt: Winner on the CEI* at Aumont Aubrac in 2013. Faoudiola de Bozouls: 6th on the World championship for 7 year olds at Valeggio Sul Mincio (Italy) in 2013, 3rd on the CEI* at Pise (Toscana Endurance Championship) in 2018. Fuego de Bozouls : Since 2015 to 2018 ; 7 times graded on CEI: 1 time on CEI*, twice on CEI** and 4 times on CEI***, only on three years of racing. Guarfao de Bozouls: 7th on the World Championship for 7 year olds at Babolna in 2012. 4 times ranked on CEI*** ;3rd on the CEI*** at Moncuq in 2014, 4th on the CEI*** at Lignières and silver gold medal with French team in 2015 (11th place of European championship at Samorin). Havana de Bozouls: 3rd on the CEI** Ladies at Fontainebleau on 2018. Jade de Bozouls: Winner on the CEI*** at Costaros and 6th on the CEI*** at Monpazier in 2017, 5th on the CEI*** at Monpazier in 2018. J'ador de Bozouls: 4th on the CEI** at Tordera and 3rd on the CEI*** at Costaros in 2018. Jaya de Bozouls: 3rd on the World Championship for 7 year olds in CEI** Compiègne 2008, 3rd on the CEI** at Rambouillet in 2009. Jorfiga de Bozouls: 3rd on the CEI** at Madine in 2017 and 3rd on the CEI** at Tartas in 2018. Lili Ankh: 6-year-old Elite finals Uzès 2011, Winner on the CEI** at Aumont Aubrac in 2013. Nadia al fée de Bozouls: 3rd on the World championship for 7 year olds (CEI**) at Babolna in 2012. Nafa de Bozouls: 2nd on the CEI** at Rambouillet and 2nd of The 8 Y-O s’ Criterium at Florac in 2014, 2nd on the CEI*** at Rambouillet in 2015, winner on the CEI** at Tartas in 2016. Naïprima de Bozouls: IRE 119, twice time ranked 5th on the CEIO*** at Bruxelles (in 2016 and 2017) and 6th on the CEI*** at Santa Susanna. Natia de Bozouls: 2nd on 130 km at Saintes Maries de la Mer in 2008. Natifao de Bozouls: 6-year-old Elite finals 2011, 4th on the CEI*** at Castelsagrat in 2013 and 3rd on the CEI*** at Rambouillet in 2014. 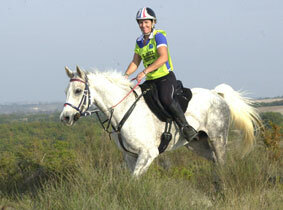 Naya de Bozouls: 2nd in CEI** Vittel 2009, 3rd CEI** Monpazier 2009, winner on 160 km at Monpazier in 2010. Prim de Bozouls: 2nd on the CEI* at Collsacabra (Spain) and 2nd on the CE* at Moia (Spain) in 2012, 2nd on the CEI** at Durance in 2013, 5th on the CEI** at Saintes Marie de la Mer in 2014, 10th place the CEI** at Fontainebleau in 2015. Primara de Bozouls: 3rd on the CEI** at Aumont-Aubrac in 2013. Raid de Bozouls: 5th in CEIJ*** Pau 2007, 3rd CEIJ*** Pau 2008. Raïmie de Bozouls: 2 wins, 4th, 5th, 6th in CEI** and CEI***, 4th at the World Championship for 8 year olds in CEI*** Compiègne 2008, then under Emirates colours : Winner in CEI** Rambouillet 2010, Winner of the “Morocco-Bahrain” Trophy in CEI** 2010, 5th in CEI*** Sakhir 2010, 6th in CEI** Euston Park 2010. Rumba de Bozouls: 3rd on the CEI*** Criterium 8YO at Florac. Salim de Bozouls: 3rd on the CEI** at Costaros and 8th on the CEI*** (2*90) at Montcuq in 2018. Saprima de Bozouls: 3rd on the CEI*** at Rio Frio rin 2016, 8th on the CEI*** at Fontainebleau, 7th on the CEI** Ladies at Pise in 2017, 3rd on the CEI* at Tordera and 2nd on the CEI*** at Lignières in 2018. 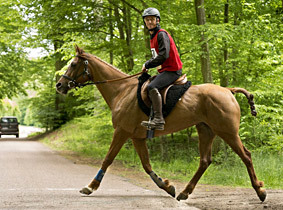 Sire de Bozouls: 6 times in top ten in CEI** and CEI*** ; selected in England Team. 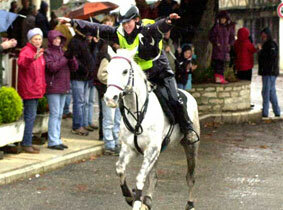 Among which : 5th in CEI** Nancy 2005, 4th CEI** Haywood Oaks 2007, 5th CEI*** Dukeries 2007, 3th CEI** Haywood Oaks 2008. Shaaprim de Bozouls: Winner on the CEI* at Valencia in 2014. Shamy de Bozouls: Winner on the CEI** at Rio Frio and 9th on the World Championship for 7 year olds at Samorin in 2018. Udjess de Bozouls: 14 races : 9 podiums with 3 victories ; winner of the Pierre Pechdo prize (at Pompadour), winner of the Mediterranean prize (at Cagnes-sur-mer) in 2013, then, winner of the Duindigt prize in 2014. Vénus de Bozouls: 2nd in CEI** Saint Paulien 2009. Zaaroi de Bozouls: 4 times ranked on CEI**, 7th on the CEI* at Dubaï in 2014. Zardor de Bozouls: 7th on the CEIYJ** at Lignières, 4th on the CEIYJ** at Fontainebleau in 2015. Ranked on the President cup (CEI***, Abu Dhabi) in 2016, the only french couple ending the race. Zephir de Bozouls: 18th on the Mondial of young riders (CEI**), and at the same time 4th with Malaysian team in 2013, winner on the CEI** at Costaros in 2016. 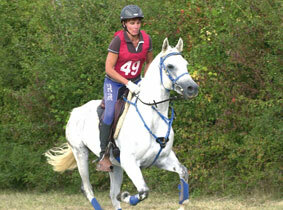 Zize des Agatchols: 6th on the CEI** at Le Pertre in 2008.